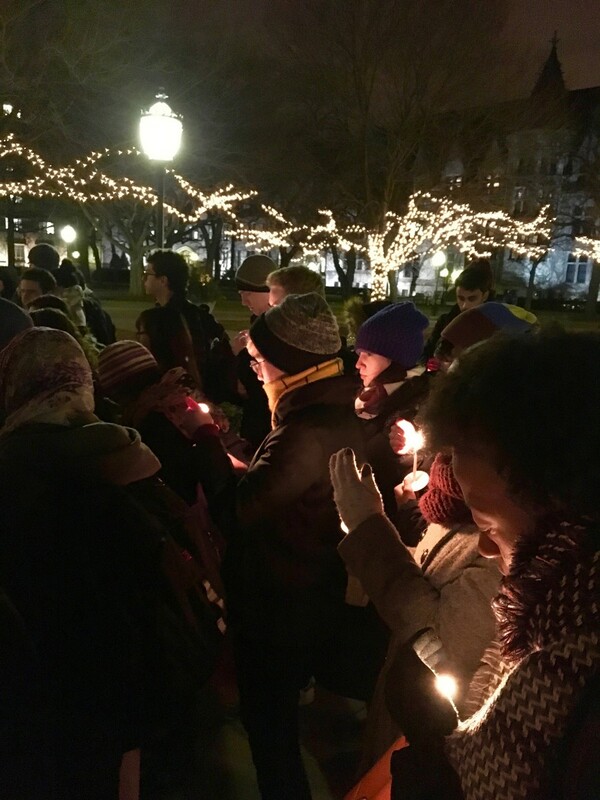 On Wednesday night, University of Chicago’s Muslim Students Association (MSA) hosted a vigil for the victims of the Quebec City mosque massacre. 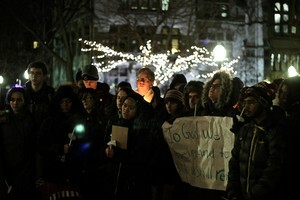 About 100 students, some holding lit candles, met in the middle of the Quad. The event began with the recitation of Dua Nasiri, the Prayer for the Oppressed, in Arabic and English. Tahir Abdullah, assistant director of Spiritual Life and Advisor for Muslim Affairs, then gave some opening words. “We are here to send our prayers and condolences to...our six Muslim brothers who were murdered for praying at the Islamic Center of Quebec City Mosque by a white supremacist. … We are also gathered here today to proclaim that we as black and brown Muslims and people from all over the world…are all here to assert that everyone has the right to be treated with respect and dignity and that we will not allow ourselves to be criminalized and intimidated into giving up our freedoms to travel, to speak out, or to practice our faith,” Abdullah said. Representatives from MSA, the Organization of Black Students (OBS), Sadhana: Coalition of Progressive Hindus, and UChicago South Asian Students Association (SASA) each shared words regarding the massacre and shared solidarity with the Muslim students on campus. Some representatives also spoke out against Islamophobia, racism, and President Trump’s immigration ban. “While the targets of the latest generation of American Xenophobia are Muslims, Arabs, and South Asians, we know countless other groups in this country have faced violent discrimination and hatred. Fear-mongering and othering of an entire group of people we know only exacerbate Xenophobia and racism while doing nothing to make anyone safer,” Nikhil Mandalaparthy, a second-year and the student representative from Sadhana said. The vigil concluded with a moment of silence for the victims of the terrorist attack. 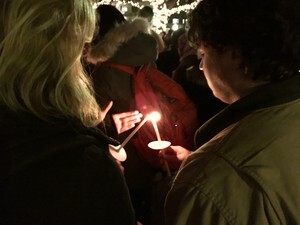 Students lit candles in memory of the Quebec City massacre victims. The event was co-sponsored by the Jewish Anti-Racism Circle, OBS, Students for Justice in Palestine (SJP) at the University of Chicago, Leaders of Color Initiative at the UChicago Institute of Politics, SASA, Sadhana, Prayer and Action Collective, and the African Caribbean Students Association (ACSA).